For nearly 40 years, Bass has designed luxury grade brushes with an emphasis on natural and durable materials for long product life and environmental sustainability. 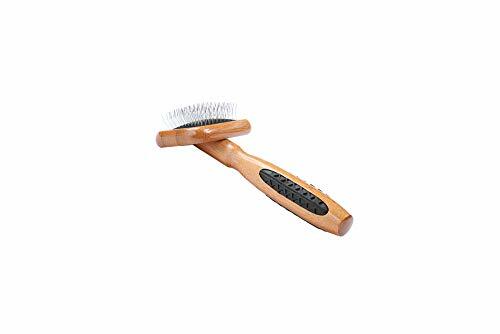 Our brushes are used and endorsed by professional groomers all over the world. Our de-matting slicker brushes use 100% premium alloy pins that gently, but effectively glide through the coat capturing lose fur and removing tough mats. Premium alloy pins glide smoothly through the coat to release matted fur. Rubber grip inlets for superior control.